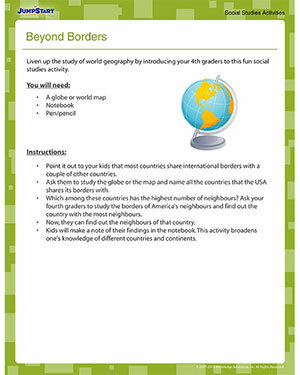 'Beyond Borders' is a free geography activity that urges 4th graders to have fun with the subject. Here, the little ones will be introduced to the concept of international borders. They will learn more about our neighboring countries and their neighbors. Help them get started right away! Also check out our other fun social studies activities for kids now!